Afundamental idea of Scientology is that increased awareness isthe only factor which offers any road to increased survival and happiness. Students seated at tables study the written works of L. Ron Hubbard, dictionaries at hand.Some, wearing headphones, listen to his lectures, while others drill the principles of application – all in the precise sequence as laid out by their materials. 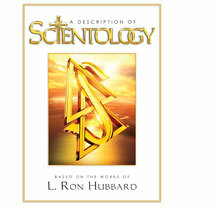 Training is the way to learn the technology of Scientology.Technology implies use. There is a gap between knowledge and the application of that knowledge. By becoming trained, a person becomes able to use the truths found in Scientology to accomplish the purpose of improving conditions in life.